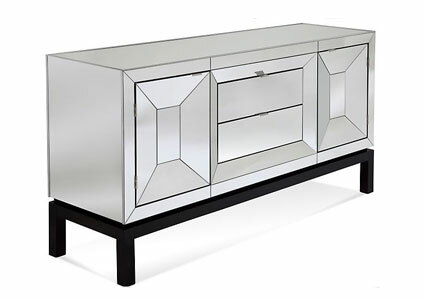 If you are looking for a stylish mirrored buffet in any color or design, just take a look at our furniture selections for sale online! 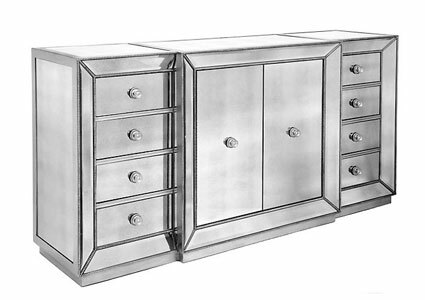 We are offering a variety of options in mirrored buffet, sourced from the top brand names to meet your needs. 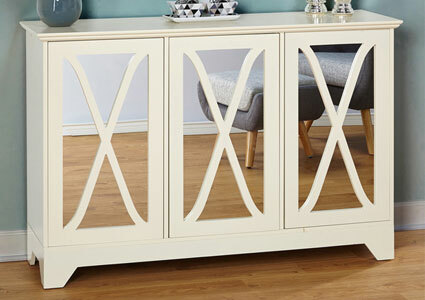 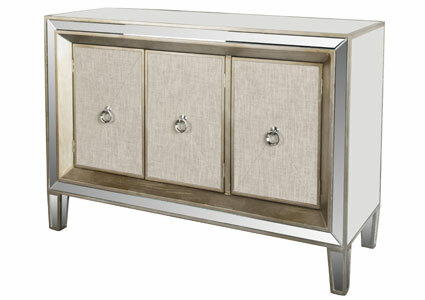 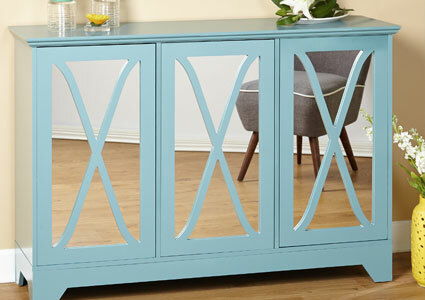 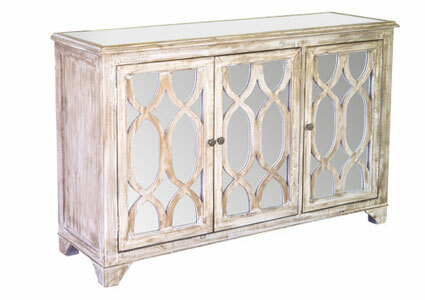 If you are planning to give a stunning look to your dining room or entrance, bring home this White Reflections Buffet. 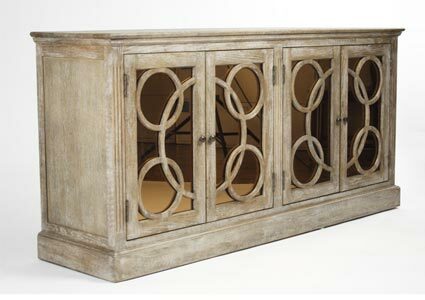 It has 3 doors and 3 divided adjustable shelves. 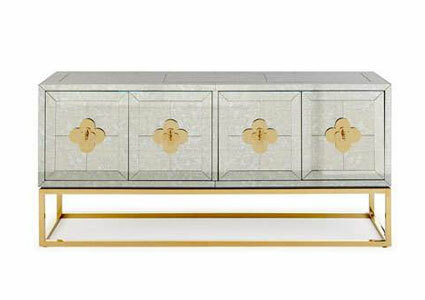 It is made of MDF and mirror. 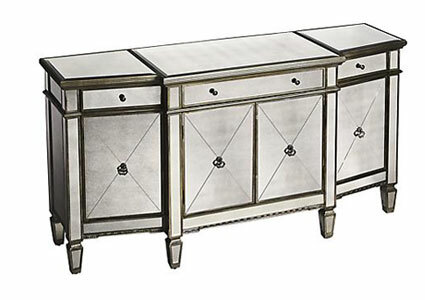 Give your kitchen or dining room a stylish edge with a mirrored buffet. 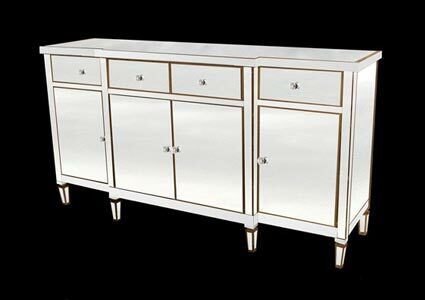 Classy, timeless and applicable for all year use, a mirrored buffet is more than just decorative furniture in your house. 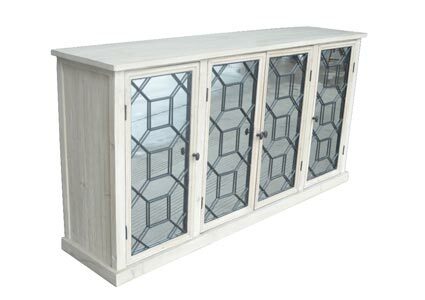 It comes with well partitioned cabinets to make storage easy, and you can choose how big or small you want your compartments to be by choosing the design that serves you best. 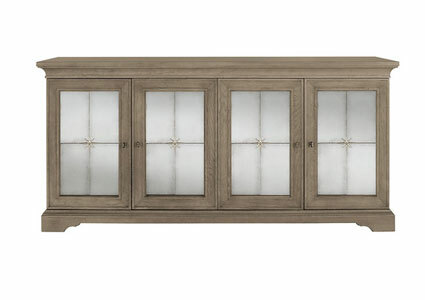 Buffet sizes vary from small to extra large. 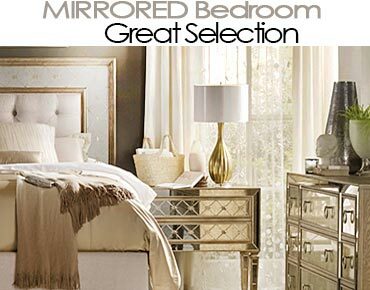 The smaller models are best suited for small rooms where space is not in plenty. 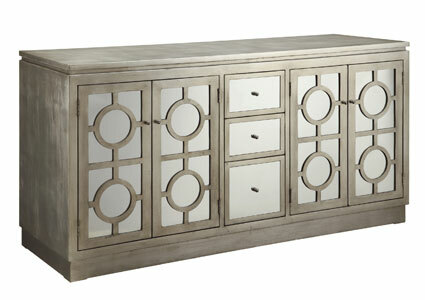 Bigger models are to be used in larger rooms where space is in abundance. 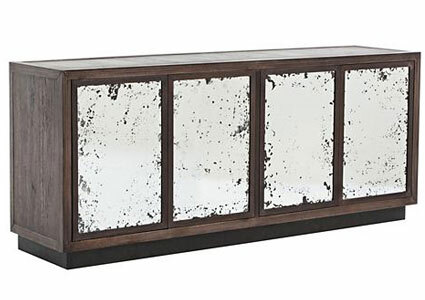 Trying to squeeze a large mirrored buffet into a small room will only serve to emphasize how out of place the buffet is, and may take away from the room’s elegance. 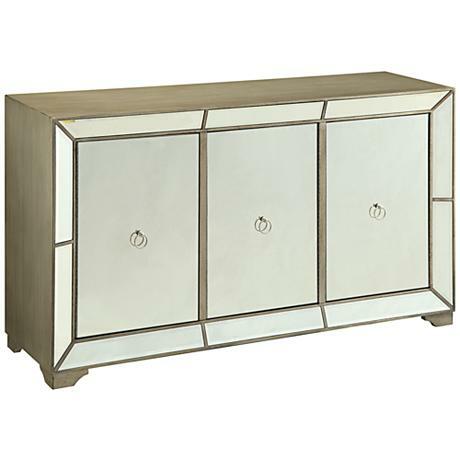 Stick to a size that is proportional to the room instead and you’ll have a better look. 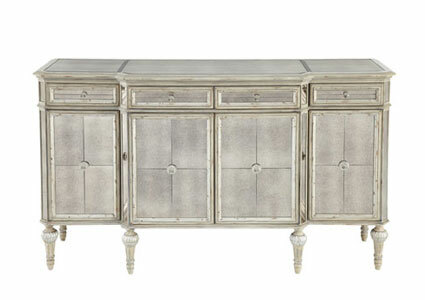 As much as the mirrored buffet is functional, it is also aesthetic. 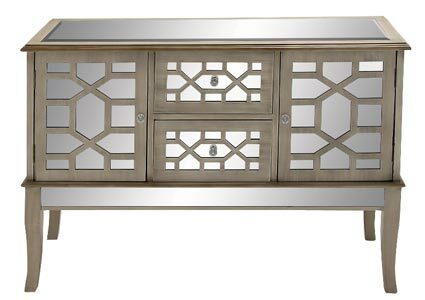 The mirror surface alone carries enough decorative power, and yet the buffet gets more aesthetic punch in the use of decorative metal knobs and drawer handles. 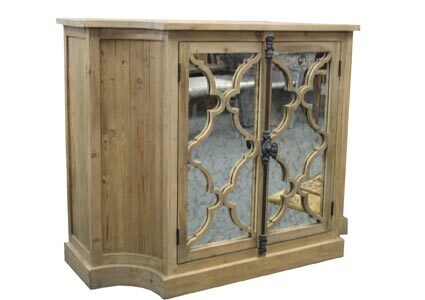 Chrome and brass knobs are the most common options available and in addition to their noticeable color, they are made in ornate designs meant to draw attention. 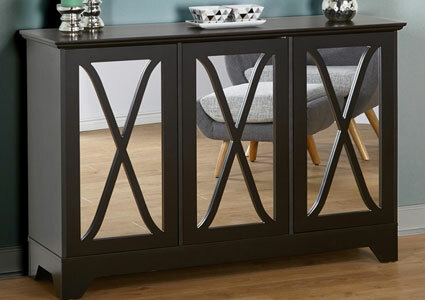 While mirrored buffets are very popular with many people because of their clean, neat look and how easily they blend with the rest of the kitchen furniture and appliances. 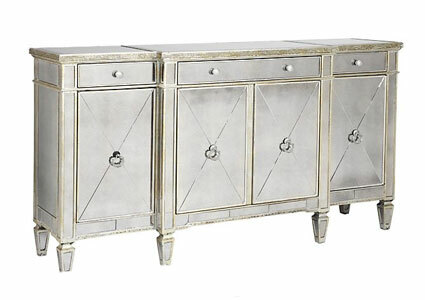 Individuals out for a modern touch can opt for a metal mirrored buffet in silver or gold, which is packed with subtle elegance.